In 1961, Peter Fuhrmann, a German climber working in Banff, arranged to take his professionalmountain guide’s exam with Walter Perren, the Swiss mountain guide heading Parks Canada’s public safety program. At the appointed rendez-vous, Fuhrmann learned Perren was conducting a rescue. Driving to Castle Mountain, he scrambled to where he could see Perren climbing solo up south-facing cliffs. Reaching the summit, he found Perren with three climbers who, although uninjured, lacked the skills to descend. Perren suggested that Fuhrmann descend with one of the climbers as an examination exercise. That task completed, the following day Fuhrmann climbed Mount Victoria, backdrop to Lake Louise, with Perren, who declared him certified. Today, candidates hoping to earn professional certification follow a more structured and rigorous program through the Association of Canadian Mountain Guides (ACMG). Extensive outdoor experience is required to gain acceptance; on average the multiple exams take seven years to complete. This year, now 850 members strong, the association formed by Fuhrmann and eight other guides in 1963 celebrates its 50th anniversary. Among those founding members was Hans Gmoser who had established himself as western Canada’s preeminent guide since emigrating from Austria in 1951. Like Perren, who certified him in 1956, Gmoser advocated for a Canadian association. The group—the majority Europeans — elected Fuhrmann as the ACMG’s first president. Those already holding licences were grandfathered in. 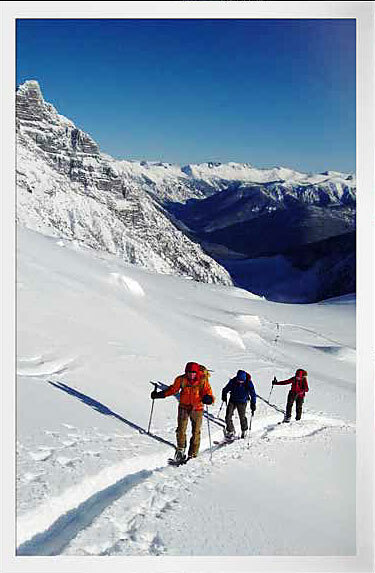 In Europe’s alpine nations, the guiding profession is long-established and highly respected. Historically, people feared the alpine as home to evil dragons, but by the first ascent of the Alps’ highest, Mont Blanc, in 1786, attitudes began changing. Rail travel brought tourists eager to view peaks, glaciers and wildflower meadows. Among them, wealthy Brits and Americans hired locals to lead them safely to claim virgin summits. Chamonix, France claims guiding’s oldest professional association, established in 1821. 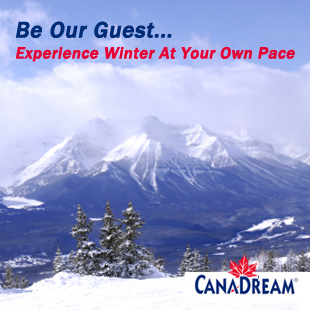 In Canada, the completion of the Canadian Pacific Railway (CP) in 1885 lured mountaineers west. In 1897, friends of Phillip Stanley Abbot, who died climbing Mount Lefroy the previous summer, hired Switzerland’s Peter Sarbach—the first professional guide to work in Canada. In 1899, CP began employing Swiss guides to lead its hotel guests to summits in the Rockies and Selkirks, a program that continued until the early 1950s. Perren was one of CP’s last guides. As chair of the ACMG’s technical standards committee, Gmoser set the qualification bar high. As his helicopter skiing business, Canadian Mountain Holidays (CMH) flourished through the 1970s and ’80s, demand for professional guides increased. While the ACMG certified a growing number of Canadians, dozens of European guides eagerly worked in the exciting new industry. Many of them stayed. In 1973, two of those Swiss guides, Hans Peter Stettler and Rudi Gertsch (a second-generation guide) attended the annual meeting of the International Federation of Mountain Guides Associations (IFMGA) in Liechtenstein, intent on demonstrating that Canadian standards matched Europe’s. In 1974, the ACMG became the IFMGA’s first non-European member. Since then, the ACMG has steadily evolved, expanding to encompass mountain, hiking and climbing gym programs. In addition to safely guiding mountaineers around the world, today’s ACMG guides work as highway safety technicians, avalanche experts, coroner’s consultants, army instructors and as riggers for Hollywood productions. Under the direction of Fuhrmann (who succeeded Perren) and Jasper’s Willi Pfisterer, they also developed Parks Canada’s world-class public safety program. While climbing for a living might appear glamorous, mountaineering days can easily last upwards of 12 hours demanding that guides evaluate rockfall and avalanche hazards at every step; glacier traverses involve consecutive nights in tents eating dehydrated dinners. Seasonal employment means irregular schedules and incomes. Injuries are costly; physiotherapy visits essential. Still, for those who pass the gruelling and expensive examination process, few imagine doing anything else. A Calgary native, Jen Olson earned her ACMG mountain guide certification in 2008, one of eight women in Canada with that qualification. She’s guided clients in Italy’s Dolomites and Argentinean Patagonia as well as her backyard Rockies and Selkirks. Internationally recognized certification allows her to explore new wilderness areas while providing her clients an adventure far beyond what they could manage on their own. Even at 70, when Ferdl Taxbock is not hiking, backcountry skiing or rock climbing recreationally, he guides part-time. Every summer he runs the Alpine Club of Canada’s 55 Plus Summer Trekking and Climbing Camp out of Stanley Mitchell Hut in Yoho National Park. From traversing the Wapta Icefields to backpacking in Jasper to climbing in Mongolia, ACMG guides are trained and eager to make your adventure dreams reality. 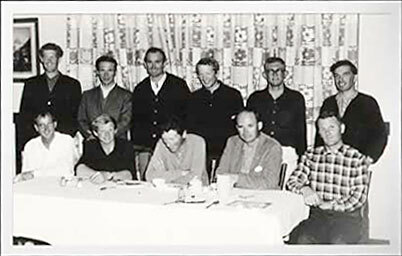 Top photo from the 1967 ACMG guides course includes, back row, from left, Don Vockeroth, Ottmar Setzer, Bob Geber, John Gow, Charlie Locke and Bernie Royle. Seated in the front row, from left, are Leo Grillmair, Lloyd Gallagher, Hans Gmoser, Peter Fuhrmann and Hans Schwartz. Credit: Chic Scott collection. Bottom photo: ACMG Hiking and Ski Guide, Félix Camiré (front left) leads two Alpine Club of Canada amateur trip leaders on a backcountry ski touring skills course in the popular Rogers Pass area of BC’s Glacier National Park. Photo by Lynn Martel.